Tamaris Joya 91 (22109/22/301) is a women's flat pump. 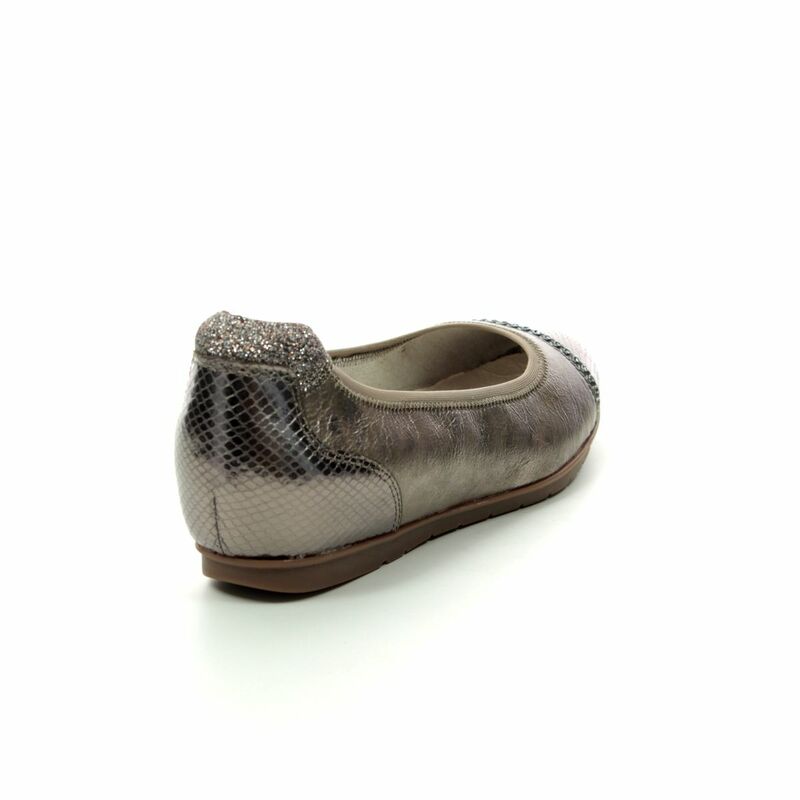 This closed toe shoe, seen here in Metallic, has a snake skin texture toe cap and heel backing, with a sparkly trim across the toe. 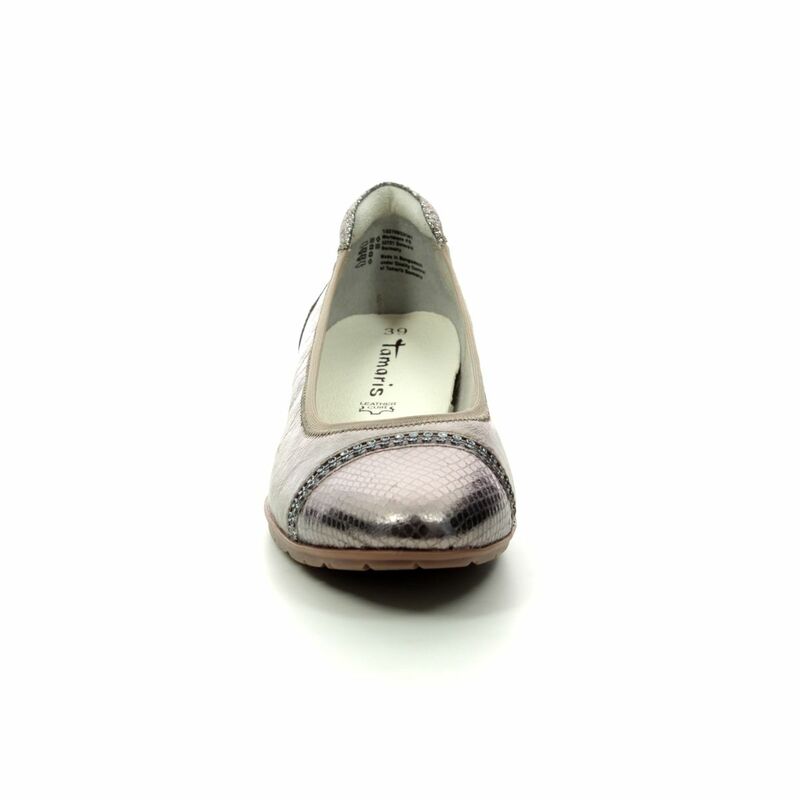 The high quality man made and textile upper has a gorgeous shimmer, making this flat shoes ideal for dressing up a casual outfit. Paired with jeans and a blouse, or with a dress, the Joya 91 can be worn with a variety of outfits, making it an extremely versatile wardrobe addition. 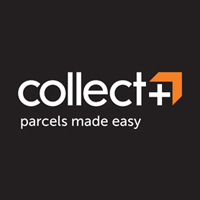 Buy your Tamaris women's shoes from Begg Shoes, an official stockist of Tamaris footwear.